Ageneau Transports, Transports Tessier, Staf Transports, Hutchison Haulage, Edwin Salari Transport, Grampian Continental. 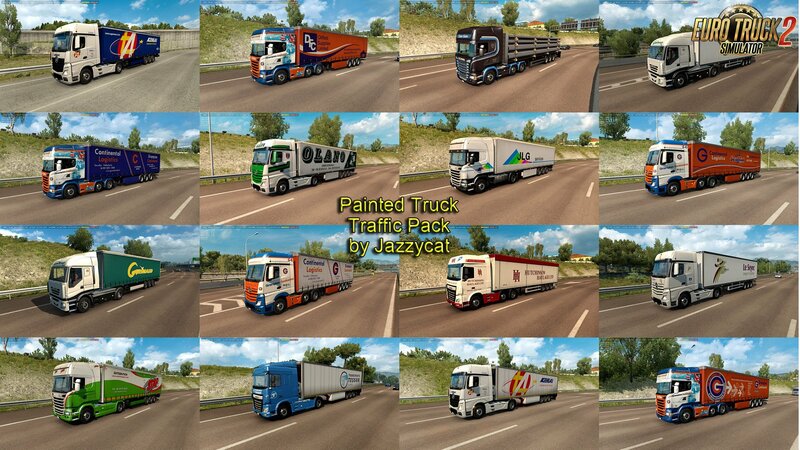 This pack adds in traffic truck+trailer combo with skins of 475 real companies. DaviD_SRB, klunk, Bayun4ik, A.Mikhaylov and others.